Maybe we’re a little bias, but working with a marketing agency can be one of the most beneficial growth measures a business can take. They can create campaigns well beyond the scope of an internal team, drive results in new ways, and sometimes even act as the primary marketing team for a company. Something we’ve learned over many years in business is that there are a few key actions that mean the difference between a good client relationship and a great one. These actions can reduce project timelines, budget overages, and improve the overall experience for the clients and the agency. 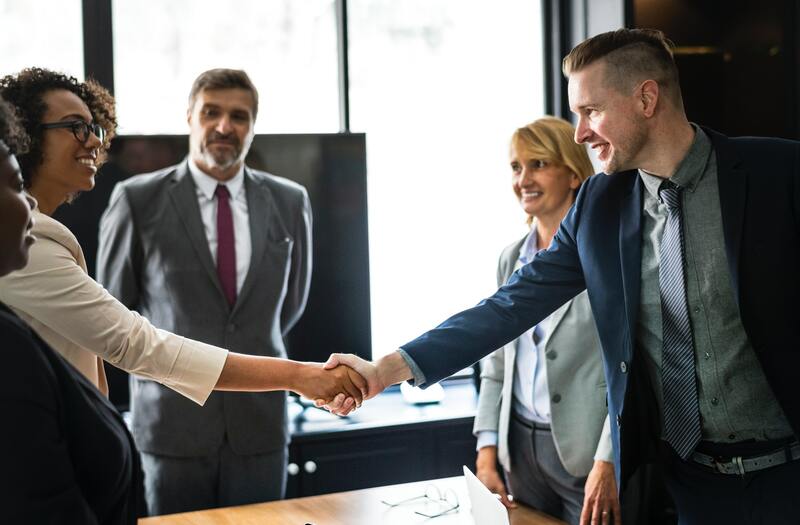 Whether hiring a firm to work with for a single project, or a longer partnership, here are a few things to know that can make the relationship even smoother and more beneficial for everyone involved. Choosing a specific point person within your company to act as an agency liaison is incredibly important. It streamlines communication as only one person has to convey information, and it helps the firm know who to reach out to. It’s common to dismiss a request for information or approvals if several people are in communication with the agency – it’s easy to assume that someone else will handle it. Unresponsiveness can delay projects for months and potentially send a project over budget. Proper research takes time and if a project gets stalled for long periods, the team working on it might have to become reacquainted with information. This eats valuable budget hours that could be better allocated towards the actual work. On the opposite side, lots of feedback coming from multiple people can confuse or bog down the agency side when making revisions. It’s best to consolidate all revisions into one email or through one person rather than several at a time from several people. Working with an agency can be a collaborative effort from many individuals on both sides, but the same way that most marketing agencies designate a project manager, it streamlines the process if you designate a person on your team as the go-to. It’s nice to be nice, but it doesn’t help anyone to go along with something you don’t understand or agree with. An issue that might only require a direct phone call or email often ends up as a long email chain. Being straightforward with questions, feedback, or wants creates an open space where you can say what you need and the agency has a solid understanding of how to deliver. This ties in closely with our last point but should be emphasized on its own. Nothing will eat up a budget faster than excessive revisions and a disconnect in expectations which can make both sides feel uncertain. Establish, in very clear terms, what your goals, visions, and expectations are whenever embarking on a new project. It’s important to keep an open mind to suggestions but if you have something set in mind, your agency won’t know that unless you share it with them. It sounds cliché but we’re happy when our clients are. Communication is an individual thing. Some people prefer short emails whenever something comes up, others like weekly summaries, while some want a phone call over any kind of electronic message. It can be very helpful to your agency, and for your own comfort, to communicate your preferences. Let them know if you prefer a phone call to an email or vice-versa. Another thing to keep in mind is the importance of keeping communication streamlined where possible. Instead of sending 5 small emails every day, try sending one longer message with all your questions. This helps to ensure messages don’t get lost in the fray and cuts down on interruption for both you and the contact at the agency receiving these emails. Find that you lose track of emails or want a better way to get quick questions answered? We’ve written before about our internal love of the messaging service Slack, but Everbrave has also had great client experiences with the app. We create channels for different projects, send direct messages that can easily be tracked and file sharing is a breeze. If you have hired an agency for the specific purpose of marketing, it is of utmost importance to establish SMART goals right from the beginning of your relationship. It not only creates accountability but also provides a strong direction and focus on what is happening and why. It may be convenient to assign random work that pops up such as tradeshows, ad campaigns, or other tasks but having a goal in place to create campaigns and activities around increases effectiveness. You’re paying a premium to work with these professionals so it is only fair that you want to see results. SMART goals also create appropriate timelines so everyone is clear on when things should be happening. The agency you choose to work with should be fully invested in your success. They should have a clear plan on how to achieve your goals based on research, planning, and careful strategy. In order to create a strategic roadmap that is tailored to your business, they need as much information as you can provide. The work you receive will be more effective and in line with what your business needs if you provide as much data, background, and clarity on business goals at the outset of the engagement. With any agency relationship, confidentiality agreements should be in place to protect your information so there’s less hesitation in sharing key information and metrics. Ultimately the relationship between an agency and a client is just that, a relationship. And just like a relationship, it takes communication, clear expectations, and trust in order to make things work smoothly. The marketing agency you work with should be committed to your success and you should be committed to giving them the tools they need to get there. Want to learn about how to create SMART marketing goals to help boost your business? 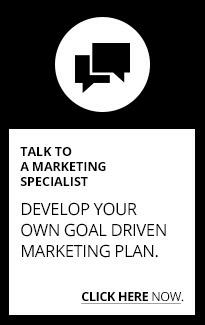 Download our free SMART marketing goals guide today.